14. 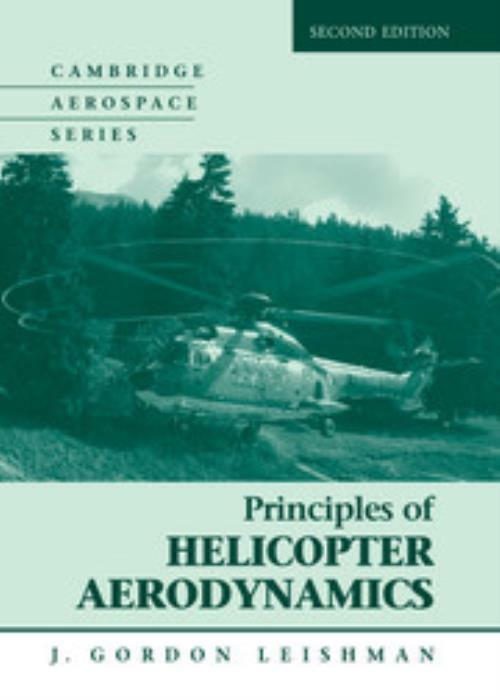 Computational methods for helicopter aerodynamics; Appendix; Index. J. Gordon Leishman University of Maryland, College Park. J. Gordon Leishman is the Minta Martin Chair of Engineering and Professor of Aerospace Engineering at the University of Maryland, College Park. He is a former aerodynamicist at Westland Helicopters and has written extensively on topics in helicopter aerodynamics. Leishman is a Fellow of the Royal Aeronautical Society, an Associate Fellow of the American Institute of Aeronautics and Astronautics, and a Technical Fellow of the American Helicopter Society. He is Editor-in-Chief for the Journal of the American Helicopter Society. He is also the author of The Helicopter: Thinking Forward, Looking Back (2007).